Automatic Call Distribution (ACD) is a means to effectively manage large volumes of incoming phone calls. It allows calls coming in to a central telephone number to be distributed efficiently and equitably among staff members who are primarily responsible for handling inbound calls. Additionally, the ACD service provides real-time and historical incoming call reports, traffic analysis reports, group reports, and agent-specific reports. This reporting and analytics functionality lets you see at a glance how your operation is performing, so you can reallocate resources quickly in the event of high call volumes or disruption to your normal operations. 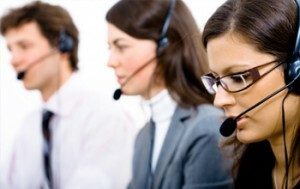 Refer to Contact Center Services for pricing information. Go to doitservices.missouri.edu to request a Contact Center. Login to the self-service portal with your University user id and password, select Service Catalog, and search for Contact Center.